This resident ensemble at Hochstein School of Music & Dance perform throughout the community in a variety of musical styles including classical, jazz, and show tune. The High Falls Business Association has once again teamed up with the Hochstein School of Music & Dance and WXXI to present Hochstein at High Falls, a noontime summer concert series.﻿ The series includes ten outdoor concerts Thursday afternoons at 12:15pm during June, July and August. Weather permitting, they will be held in the Granite Mills Park near the Pont de Rennes Bridge. Attendees are encouraged to bring their own seating and lunch, or pick up a great lunch at area restaurants (like La Luna and Fina's Cafe﻿). Each performance runs approximately 45 minutes. The June 12 concert features the Plymouth Brass Quintet, a brass quintet based at the Hochstein School of Music and Dance. 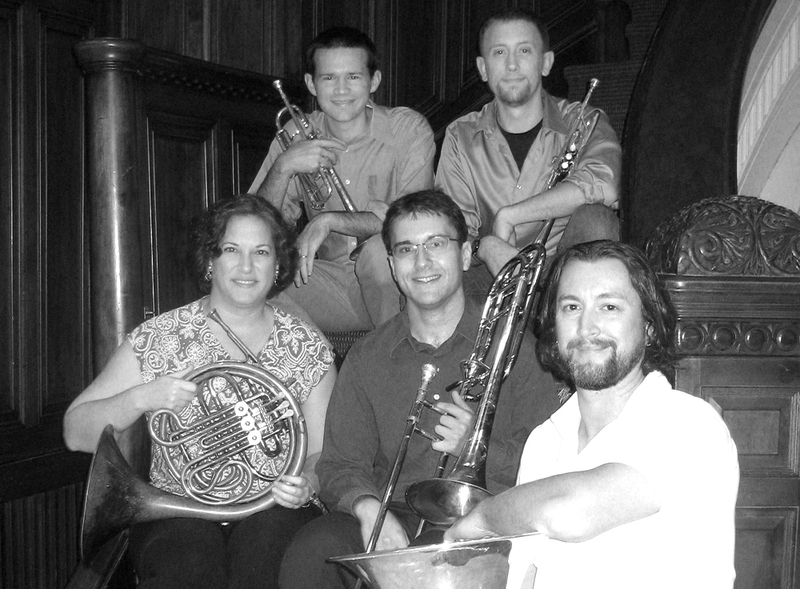 A group of dedicated music teachers, the quintet strives to include educational elements in all of their performances. Performing at this concert will be Roy Smith and Steve Felix, trumpets; Colleen Wolf, horn; Ben David Aronson, trombone; and Jeremy Stoner, tuba.